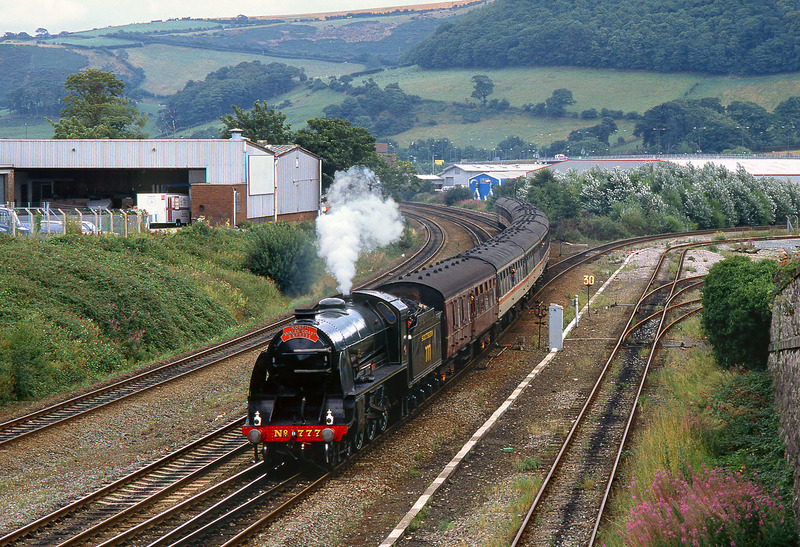 N15 4-6-0 777 Sir Lamiel arrives at Llandudno Junction on 11 August 1991 with the BR InterCity 11:55 Crewe to Holyhead 'North Wales Coast Express'. This train on several weekends throughout the summer of 1991. The Conwy Valley line can be seen diverging to the right.